I fantastic cookie! Hmmm…. maybe I’ll pop a batch in later today! Oh, yes, I definitely want one of these…lol. Seriously now, the guys here would really LOVE to have these. Great idea for bars and the additional tips and add-ins, etc. Wonderful job with this recipe. 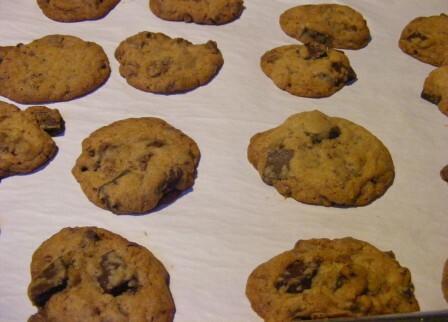 I think cookies are one of your specialties, they all turn out so well for you. Cookies are basically foolproof; maybe that’s why I excel at them! 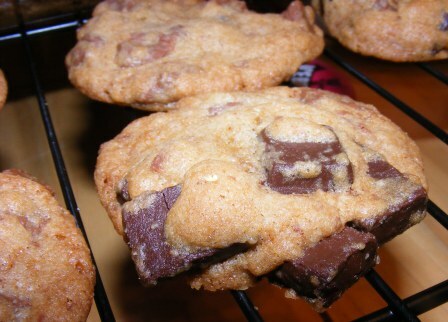 You are right…I totally want these cookies. NOW! 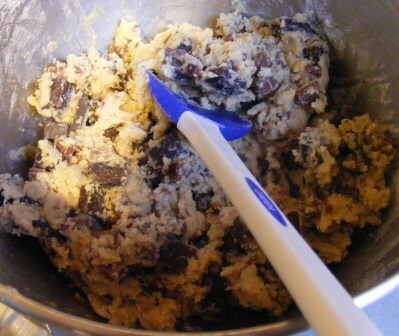 Next timi need chocolate chip cookies, these will be the ones. Fantastic! Definitiely worth a try. They take chocolate chips to a whole new level! O what a good idea to make bars. And to add cinnamon to some. I have to try them this way. Thought of adding PB chips, but…..
PB chips would be great, too. It really was astonishing how much chocolate was in these, but the recipe still worked. I thought they were better the second day. Your picture won’t load on this browser, so I’m imagining how good they look! I’m all for pushing the chocolate envelope! Yummy. 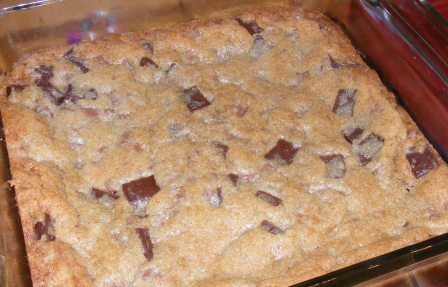 And now I must make these again so I can try the cookie bar idea. Brilliant! I know. Reading this post makes *me* want to make them again, too!